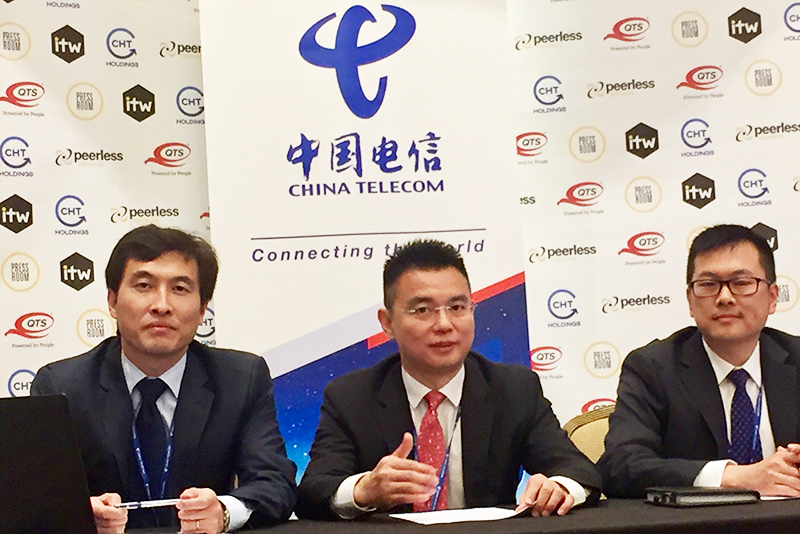 Hong Kong-based China Telecom Global (CTG), the subsidiary of China Telecom established in 2012, announced the launch of 100 Gbit/s service capability over its terrestrial cable system to address demand for high capacity connectivity between Asia and Europe in collaboration with Russian operators. Building on the launch of the Super TSR (Transit Silk Road), an ultra-low latency terrestrial route via the China-Kazakhstan Gateway, the latest initiative further diversifies CTG's product portfolio across the Europe-Asia route. CTG's new 100 Gbit/s capability is supported by cross-border transmission systems leveraging the China-Russia, China-Mongolia-Russia and China-Kazakhstan-Russia routes. The solution will be managed in collaboration with Russian partners, with which CTG has established a long-term strategic relationship. CTG stated that the service launch represents the first terrestrial 100 Gbit/s bandwidth option available between Asia and Europe, and is intended to support increasing IP transit/transmission demand from carrier partners and IP service providers. CTG launched the Super TSR last year, offering latency performance of 147 ms from Shanghai to Frankfurt, Germany and 159 ms between Hong Kong and Frankfurt, which is claimed to be 10 ms lower latency than on existing routes. The new shorter route was implemented in partnership with a Kazakhstan operator. CTG noted that the developments are part of its efforts to support China's Belt and Road initiative. 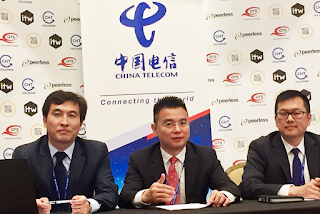 Previously, last December CTG and Nepal Telecom announced an agreement to deliver IP services in Nepal leveraging the newly launched terrestrial route connecting China and Nepal, via Jilong (Rasuwa) Gateway. Global Capacity is expanding seven of its OneMarketplace POPs, adding access to its high-performance Ethernet backbone, expanding Ethernet access for local businesses, and adding connections for cloud business services. In this video, Mary Stanhope, VP of Marketing for Global Capacity, provides an update. Deep Blue Cable is a new 10,000-km undersea cable system being developed for the Caribbean. In this video, Stephen Scott, CEO of Blue Deep Cable, talks about delivering a new wave of communication to the Caribbean and the Americas. Beijing Internet Harbor Technology Co., Ltd. (BIH), a leading provider of Internet Data Center (IDC) and value-added cloud computing services in China, has deployed the Coriant Groove G30 Network Disaggregation Platform (NDP) to scale metro network capacity and enhance high-speed interconnect services for its end-user customers, including large and small enterprises, Internet and Web 2.0 providers, and government agencies. 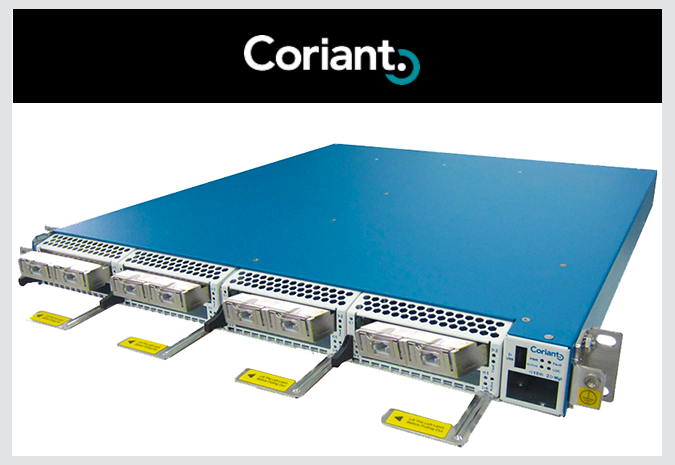 The Coriant Groove G30 solution for Internet Harbor includes coherent 200G line side transmission, and spans major metropolitan cities across China, including Beijing, Shanghai, Guangzhou, and Shenzhen. The compact 1RU Groove G30 solution, which can be configured as a muxponder, enables Internet Harbor to cost-efficiently support delivery of 10G, 40G, and 100G interconnect services while maximizing utilization of fiber resources with coherent 200G DWDM transport. The Groove G30 NDP stackable solution supports 3.2 terabits of capacity throughput in a compact and highly pluggable 1RU form factor. Ensemble, a division of ADVA Optical Networking, has launched a major upgrade of its NFV platform, a software-based suite designed to enable the low-cost deployment of universal CPE (uCPE) solutions, adding key enhancements for telco-scale virtualisation. With the enhancements, service providers are able to combine multiple virtual network functions (VNFs) on a single uCPE, rather than stacking multiple boxes, to gain lower total cost of ownership. The new NFV platform also features LTE wireless support and zero touch provisioning, designed to eliminate the need for site visits for service activation. These capabilities allow the shipment of servers directly from COTS suppliers to end customers. The latest Ensemble release provides enhanced provisioning capabilities and includes significant resource optimisation, enabling service providers to reduce NFV infrastructure footprints to a single Intel Atom core. The update is also designed to address the issue of how to expand OpenStack beyond the data centre. By incorporating local OpenStack controllers it effectively embeds the cloud in compute nodes and helps to address the problems that service providers face. In addition, Ensemble advances the use case of SD-WAN by allowing service providers to deploy SD-WAN as a VNF on a COTS server, rather than utilising a traditional closed appliance. Separately, ADVA's Ensemble announced that Verizon has selected the Ensemble Connector as part of the deployment of its universal CPE (uCPE) solution. Through the agreement, Verizon is using the Ensemble Connector as its NFV infrastructure (NFVI) on COTS white box servers. Ensemble Connector's zero touch provisioning enables Verizon to drop-ship servers directly from the COTS supplier to the end customer, simplifying supply chain logistics. Huawei Marine Networks, the joint venture between Huawei Technologies and UK-based Global Marine Systems, and Singapore-based Super Sea Cable Networks (SEAX) announced the completion of offshore and inshore marine surveys covering the full route of its SEA Cable Exchange-1 (SeaX-1) submarine cable system that will kink the eastern seaboard of Peninsular Malaysia, Singapore and Indonesia. The SeaX-1 cable system comprises a 250 km high-speed, high capacity 24 fibre-pair undersea optical cable that will connect Mersing (Malaysia) with Changi, Singapore and Batam in Indonesia. Once commissioned the cable system, which is designed to meet growing demand for bandwidth in the South East Asia region, will be owned and operated by Super Sea Cable Networks. 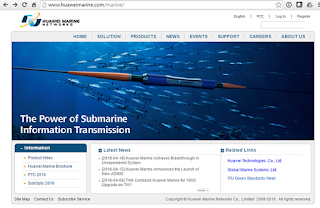 Huawei Marine stated that it has commenced manufacturing of the submarine cable for the cable system, with the SEAX-1 cable scheduled to be ready-for-service (RFS) in the first quarter of 2018. It was noted that SeaX-1 is fully funded and has obtained the necessary licenses to operate submarine and terrestrial cable systems within the territories of Singapore, Indonesia and Malaysia. Huawei Marine announced in September 2016 that it had been selected by Super Sea Cable Networks to deploy the 250 km SeaX-1 subsea cable. 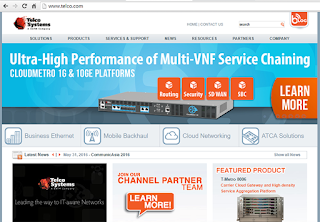 Telco Systems, a BATM Advanced Communications company and provider of CE 2.0, MPLS, IP, SDN/NFV solutions, and the Networks & Communications Group within Advantech have jointly announced a partnership to deliver an open vCPE solution designed to enable VNF services using cost optimised hardware. 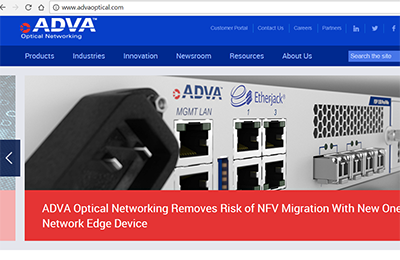 The partnership between Telco Systems and Advantech is intended to facilitate the rapid deployment of Telco Systems' NFVTime open vCPE solution across a range of Advantech white box appliances. The NFVTime suite offers a service-ready, plug-and-play vCPE solution that integrates white box hardware, NFVi-OS and a VNF portfolio that can be centrally managed and orchestrated. 1. Telco Systems' NFVTime solution, designed to allow telcos and managed service providers to flexibly deploy any VNF service, including SD-WAN, vRouter, vFirewall, vProbe and vSecurity, remotely, as and when required with zero touch provisioning. 2. Advantech's FWA-1010VC white box vCPE appliance, which is based on Intel Atom architecture, or for demanding on-premises workloads, the FWA-3260 appliance with Intel Xeon Processor D-1500 to provide greater processing headroom, additional encryption offload and higher network throughput. In addition, the NFVTime solution features a range of LTE, WiFi, LAN and WAN connectivity to help simplify product deployments by leveraging the infrastructure available in a particular location. The companies stated that by deploying the joint, open vCPE solution on high performance, cost optimised white box appliances, telcos and managed service providers can efficiently expand vCPE-based NFV services targeting small-to-medium sized business (SMB) customers. Global Capacity, the provider of connectivity as-a-service based on its One Marketplace platform, announced the expansion of seven One Marketplace points of presence (PoPs) in its North American network, including six Ethernet local access aggregation points and three high performance Ethernet Backbone points designed to support demanding cloud, over-the-top applications and data services. The new locations that have been Ethernet-enabled include Pittsburgh and Philadelphia, Minneapolis, plus three new PoPs in Boston, Kansas City, Missouri and Vienna, Virginia, while locations added to the Ethernet backbone include Kansas City, Missouri, Minneapolis and Toronto, Ontario in Canada. These key aggregation points support the provision of diverse route options, more competitive pricing and a selection of network access services for One Marketplace customers. Global Capacity noted that Ethernet is the technology of choice for SD-WAN, hybrid WAN and cloud connectivity, and the demand for these enterprise services is driving the continuing expansion and investment in its network. Earlier in 2017, Global Capacity announced the expansion of its national Ethernet service, strengthening its position as a major provider of Ethernet over Copper (EoC) solutions in the U.S. The investment in CO facility equipment enables the company to use existing copper infrastructure to deliver from 1 up to 100 Mbit/s access to customers and address growing demand for hybrid and SD-WAN network solutions. Global Capacity expanded its Ethernet services footprint in 264 cities across 36 metro markets in 20 states. Global Capacity announced in April a partnership with VeloCloud Networks, the Cloud-Delivered SD-WAN company, to enable the delivery of managed SD-WAN services, expanding its global enterprise networking portfolio with new software defined services. Earlier this year, Global Capacity launched Ethernet Multi-Cloud Connect service, a virtual network service based on its One Marketplace software-defined platform that allows enterprises to build multiple cloud services from a single port to access hybrid and multi-cloud solutions across multiple locations. Jack Lodge, president of Global Capacity, noted with regards to the latest expansion, "Last year, Global Capacity achieved 37% growth in installed Ethernet revenue driven by cloud and data centre connectivity, and the higher traffic needs of the data-driven society… Global Capacity will continue to invest in the One Marketplace network… (to) connect business locations in more markets to key destinations over greater bandwidth and high performance Ethernet". 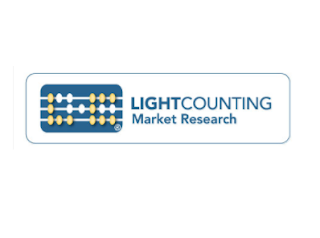 LightCounting, in a research note on the silicon photonics (SiP) market, has reiterated its forecast for the product segment based on updated projections for sales of Ethernet and DWDM transceivers, specifically finding that while the share of SiP products in the total market has not changed significantly the product mix has, and noting that the success of SiP will be more dependent on Ethernet transceivers and less on DWDM modules. LightCounting notes that projection for sales of active optical cables (AOCs) and embedded optical modules (EOMs) have not changed since its AOC-EOM report of December 2016, with demand for AOCs in early 2017 consistent with forecasts, although stating that the EOM market was very slow in the first quarter. However, it expects Intel to start shipping SiP-based EOMs in 2018 to support its latest supercomputer project. The research firm notes that EOMs and co-packaged optics/ASICs were key topics at OFC 2017. In particular, supporting its long term forecast for SiP-based EOMs LightCounting cites Ayar Labs, which announced its first product - SiP-based EOMs – designed to sit adjacent to complex ASICs to enable connectivity with network interface cards. The first chip is designed to support 3.2 Tbit/s of capacity. Such SiP-based solutions are able to operate at the high temperatures required for EOM applications. 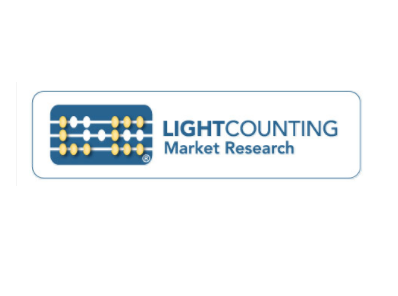 In terms of optical transceiver technology, LightCounting reports that in 2016 the market of over $6 billion was largely made up of InP devices, split roughly equally between discrete and integrated InP products and accounting for around $4.5 billion of the total. The SiP market segment accounted for around $500 million, with the remainder accounted for by integrated and discrete GaAs devices. In 2017, the SiP-based optical transceiver market is forecast to rise to around $700 million, in a total market of approximately $7 billion, growing to just over $1 billion in 2019 and around $2.2 billion by 2022, when the total optical transceiver market will reach around $11.5 billion. LightCounting observes that while SiP technology has been proven in terms of technical performance, it remains to be seen whether it can help the optical components industry move towards sustainable profitability. The research firm notes that in this context the performance of Acacia has been encouraging, although the company's products are neither high volume nor low cost. In addition Luxtera, whilst a privately held company, is believed to have had a good 2016 and likely gaining share in the PSM4 segment based on the first quarter earnings report of Applied Optoelectronics. There is nothing exceptional about these monthly numbers, although its worth noting that China Mobile, a very late official entrant to this market, only reporting its first surprisingly large international numbers in February 2016, is now well past China Unicom and with around 30% actual fixed broadband market share is also taking almost two thirds of month to month market growth. As a result, its market share is growing steadily each month by about 0.35 points. Also, at the present rate of comparative growth China Mobile could possibly overtake China Telecom in the next three years or so to become the largest fixed-broadband operator. 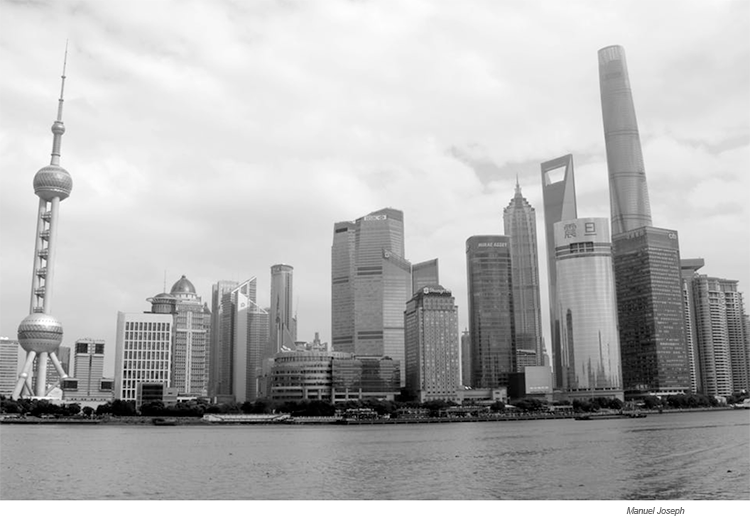 Given China Mobile is already by far China's largest mobile broadband operator it is still difficult to understand what MIIT's plans are for an industry so increasingly dominated by one company. As things stand it would seem logical to merge Unicom and Telecom, which have never really overcome their historic regional bias, and hand out another couple of converged licenses to some of the more successful MVNOs. The numbers for this market are not in general publicly reported by the three big operators, though numbers do slip out from time to time. Possibly they report them to MIIT, at least it would be surprising if they did not. On April 18th Digitimes Research reported that, in line with the Chinese government's Broadband China Policy of 2013, and helped by China Mobile's involvement in the fixed-line market, fibre infrastructure has been 'quickly established', and claimed that at the end of 2016 the number of FTTH subscribers in China had increased to 227.7 million, of which 61 million lived in rural areas. Digitimes also claimed 77.8% had download speeds of 20 Mbit/s and above. However, according to the report the number of xDSL subscribers shrank to 19.8 million at the end of 2016, decreasing 60.6% year on year. It should be noted that Digitimes is normally a quality source of information, mostly about Taiwanese companies, but usually also heavily involved in China. However, this report claimed that the 227.7 million FTTH subscribers accounted for 76.6% of all fixed-line broadband Internet subscribers, which implies that the number of fixed-line broadband subscribers in China at the end of 2016 was 297.26 million. Based on the above official numbers, this seems to be roughly 20 million too high. Digitimes has access to the operator numbers so the implication is that for some reason they are adding estimates for one or more other operators. One possibility is that Digitimes knows or believes that the China Mobile numbers do not include the broadband subscribers of the one time railway operator TieTong. Although it was reported in November 2015 that China Mobile had agreed a RMB 31.9 billion deal to acquire fixed broadband provider TieTong from China Mobile sister company CMCC it is possible that that consolidation has not yet been fully completed. 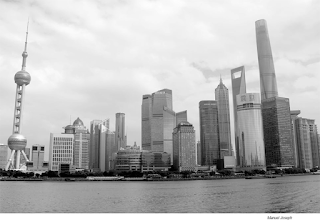 Moreover, given the size and complexity of China and the power of some of the provinces there may still be a few small local telcos that have maintained an independent existence. Some of the many provincial cable companies, nominally consolidated at national level but still in many cases rather independent, may also serve some customers with fibre. It also seems likely that huge corporations like State Grid Corporation of China also run some internal broadband operations and in any case SGCC has certainly dabbled in the FTTH market in the past, though to what actual level remains unclear. In early April 2017 estimates by Analysys of vendor market shares of the huge Chinese online third party mobile payments market for Q4 2016, valued at around RMB 12.8 trillion ($1.741 trillion), up 41.7% Q/Q and 126% YoY, showed Tencent's payment system, TenPay, continuing to gain ground steadily on the market leader AlIPay, a subsidiary of Alibaba. The other more than a dozen payment operators, including ApplePay, averaged less than 1% market share each. Despite a year on year loss of almost 17 points from 71% in Q4 2015, Alipay, remained the market leader in this market with a 54.1% share in Q4 2016, followed by TenPay (including WeChat Payment and QQ Wallet), on 37.02%, with the third-ranked player Yiqianbao on 2.19% and the rest on 1% or less. According to IDC estimates of the size, growth rate and vendor structure of the global smartphone market in Q1 2017, the top three Chinese suppliers - Huawei, Oppo and Vivo - were collectively up 3.7 points in market share year on year to reach a collective 22.40%, while Samsung lost a percentage point from 23.80% and Apple lost 0.5 points from 15.4%. While the market grew an unexpected 4.3% to 347.4 million units the net result of market growth and share decline for the two leaders was that both Samsung and Apple shipments were virtually static year on year at 79.2 million and around 51 million, respectively. Meanwhile, Huawei grew 1.4 points year on year in share from 8.4% to 9.8% and 22% in unit shipments. While very impressive for a company which has only been seriously in the market since 2011 there are two points that should worry Huawei about these numbers given its clearly stated outrageous ambitions to be the global market leader. The first is that even if Huawei could continue to gain 1.4 points a year, which seems unlikely, it would still take about a decade to overtake the leader Samsung. Secondly, and in some ways more worrying, is given that in almost all the many markets it has entered Huawei is accustomed to being by far the most aggressive competitor, Oppo, whose market share was also up 1.4 points YoY from 5.9% to 7.4%, is growing at least as strongly as Huawei and that is an unusual environment for Huawei. However, according to a Fortune article of January 24th, Richard Yu, head of Huawei's Consumer Group said in November that he expected to overtake Apple in unit market share sometime in 2018. Vivo, meanwhile grew market share much more slowly than Huawei or Oppo, from 4.4% to 5.2%. On May 2nd it was announced that China Mobile, real-time OS developer Enea of Sweden, ARM of the UK and Cavium of San Jose, a supplier of ARM- and MIPS-based processors, had signed a collaborative agreement whereby Enea's open OPNFV-based commercial core platform (based on OpenStack), ARM's 64-bit processor and Cavium's ThunderX workload-optimised data-centre server processors would be used in China Mobile's Open NFV Testlab as part of its Telecom Integrated Cloud program. The program is designed to validate a variety of NFV tests cases, such as vCPE, vBRAS, vEPC and vIMS, and support Open Network Automation Platform project development and integration. In relation to the above announcement, in 2015 Wind River, a supplier of software for intelligent connected systems, and China Mobile said they had joined forces on multiple NFV projects including a new NFV test lab as well as the development of virtualised small cell gateway and cloud radio access network (C-RAN) solutions. Also, in January 2016 the OpenStack Foundation published a press release in support of the report Accelerating NFV Delivery with OpenStack on the adoption and business cases driving NFV deployment at leading telecom providers. It claimed that OpenStack was the platform of choice for NFV deployment and noted that AT&T, Bloomberg, China Mobile, Deutsche Telekom, NTT Group, SK Telekom and Verizon were among the organisations documented using OpenStack and NFV. In addition, in June 2016 Nokia and China Mobile announced the signing of a one-year, Euro 1.36 billion frame agreement for Nokia to provide China Mobile with cloud services, mobile, fixed, IP routing, optical transport and customer experience management technology, as well as support and global services during 2016. Cleareon, a New York City-based provider of network solutions for wireless and wireline carriers, service providers and large enterprises, announced the launch of its new Service Assurance Monitoring and Reporting platform, which allows customers to monitor circuit performance against historical baselines and service level metrics. 1. Exceed the requirements of wireless providers with demanding performance expectations for monitoring jitter, packet loss and latency. 2. Provide granular performance data for Ethernet circuits. 3. Allow straightforward integration into customer applications via compatibility with APIs. 4. Deliver reporting for more than 110 different KPIs. In October 2016 Cleareon announced the acquisition of Pangaea Networks based in Glen Rock, New Jersey, a provider of metro Ethernet services to carriers, service providers and enterprises throughout the New York metro and tri-state region. The combination was intended to create a provider able to deliver a full range of fibre, Ethernet and wavelength services for carriers and large enterprise customers. Also in October, Cleareon announced service-ready status across its PoPs in New York City and New Jersey, having established a number of new PoPs in New York during the year. In conjunction with the announcement, Cleareon launched a 10 Gigabit Ethernet ring service, PANMetro, enabling dedicated local access for customers. Commenting on the service assurance offering, Cliff Kane, co-CEO of Cleareon, said, "In complex environments where multiple networks are stitched together to provide the end-user solution, customers need more than a technology view of the network… the Service Assurance portal has dynamic data aggregation and reporting capabilities that enable customers to correlate key network performance data to provide a service-focused view… and organise KPI data and manage it against SLA thresholds for each circuit".